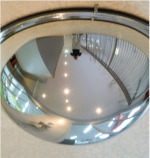 An economical lightweight general surveillance mirror with unbreakable polycarbonate face No Maintenance required & simple mounting. With unbreakable polycarbonate face fully adjustable to any angle.Comes complete with both Post & Wall mounted brackets [suits post size 60mm in diameter]. An extremely durable weather proof unbreakable polycarbonate face mirror with Hi Vis Orange Visor.Comes complete with both post & wall mounted brackets [suits post size 60mm in diameter]. Easy to use safety stick on strips all made out of soft polyurethane. Reﬂective Orange TTop Bottard. Ideal for Roadworks, Civil engineering, schools, carparks etc. U.V Stabilised to minimise fading. The stem is 1200mm High. 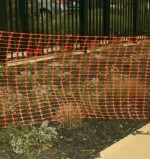 Ideal for Roadworks, civil engineering, schools, carparks etc. U.V Stabilised to minimise fading. 900mm model features a 7kg base with a large footprint for increased stability. Also pictured is our RCB2 Retractable Cone Bar extends from 1.2 m — 2metres in length. 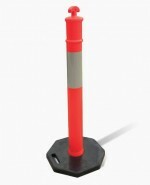 Ideal for Roadworks, civil engineering, schools, carparks etc. U.V Stabilised to minimise fading.